Over the course of the past few hours, Apple’s App Store has gone down for many, not allowing iOS users to download new apps or perform updates on their device but also via iTunes on the desktop. Update: We have received reports that if you sign out of your iTunes account on your mobile device, then sign in, you should be able to connect to the App Store without a problem. Please let us know if this works for you in the comments. 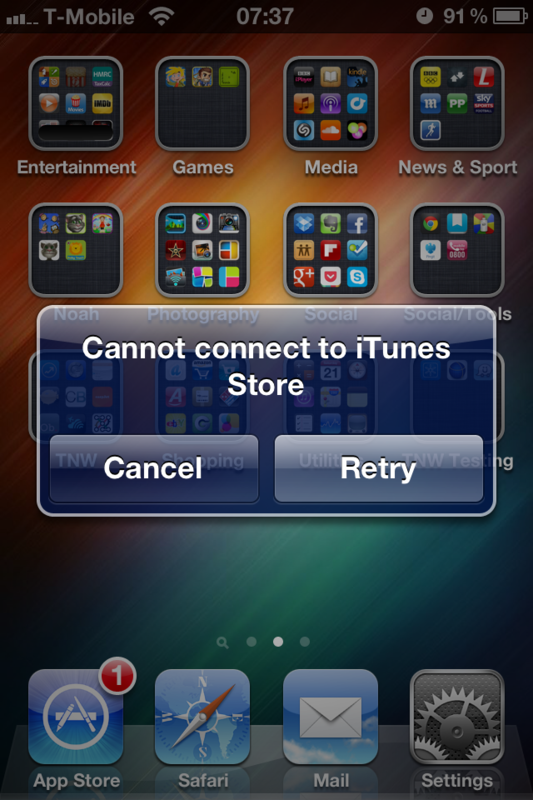 When attempting to download apps, iOS users are met with a “Cannot connect to iTunes Store” notification, with iTunes displaying a ‘iTunes Store is temporarily unavailable” error. Developers we have contacted are not aware of any scheduled maintenance Apple is performing on the iOS App Store, and at the time of writing, the Mac App Store remains unaffected. This appears to rule out some theories that app servers are unresponsive due to Apple’s impending launch of its new Mountain Lion Mac operating system. However, Apple has been working to negate a recent flaw in its in-app purchasing mechanism, yesterday launching a new private API that outlines methods for preventi’ng the exploit that allowed free transactions. The company shared a procedure that is not included in its current framework for developers, suggesting it is giving developers access to parts of the API that they would not normally have access to in order to implement a fix immediately, before rolling it out iOS 6. At the moment, we can’t confirm whether Apple is performing maintenance on the App Store (which could include the implementation of server-side app receipt checks) or that the service is down for reasons unknown. 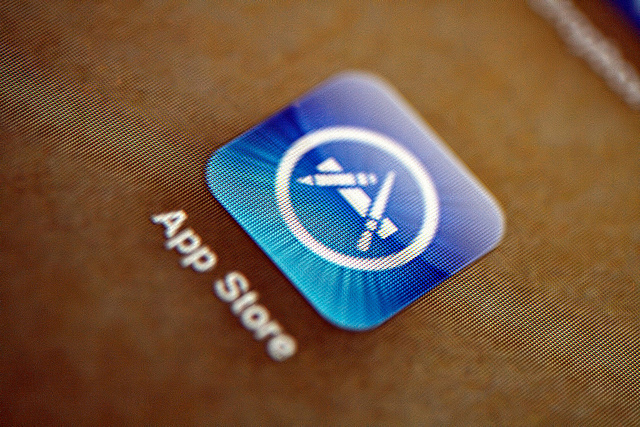 So far, there are confirmed App Store outages in the US, UK, Singapore, Malaysia, Australia, Indonesia and Kuwait. We have contacted Apple for clarification on the matter and will update should we receive a response.